Oh I do love a wishlist. Sadly it’s still over a week until that elusive January payday and this month I’ve been going out rather than reinventing my style (so much for a sober start to the year). I’m pretty much loving everything about S/S18 so far as it’s mainly comprised of some stunning knitwear, even more slogan tees (I didn’t even think it was possible) and most people are still clutching to skinny jeans. I heard a rumour that flares were coming back but it’s safe to say, I will be ignoring that trend whenever it next crops up. First up is a stripy top from Joanie Clothing featuring a dinosaur. Yep. A dinosaur. I absolutely love this as in recent months I’ve developed a new appreciation for the colour yellow and I’ve had an on-going appreciation for dinosaurs since I was about four years old. 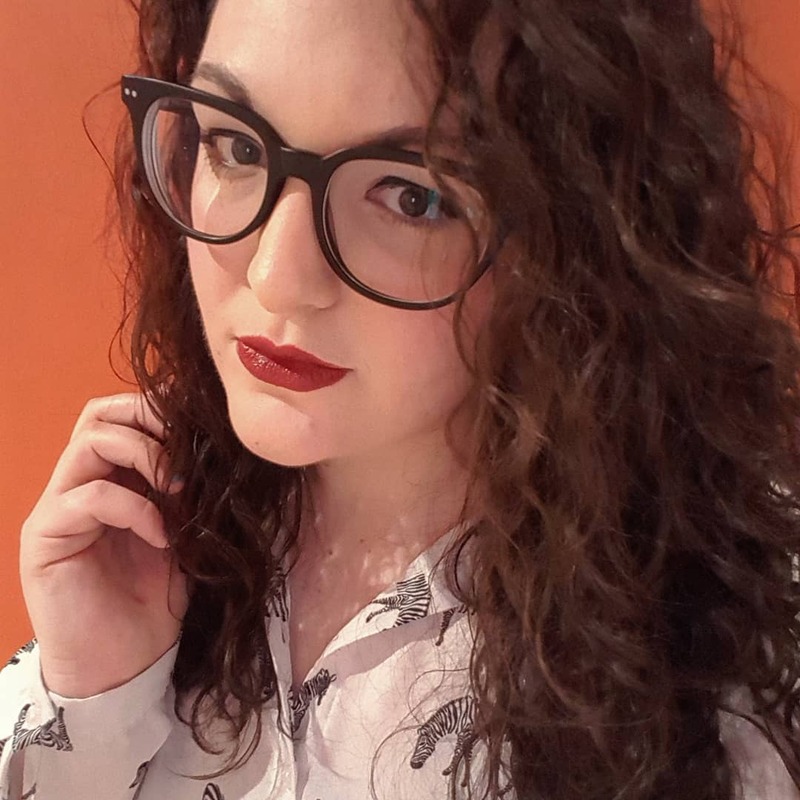 Sticking with the animal theme, I’ve also fallen in love with this zebra print blouse from ASOS which I first spotted my gal Faith wearing over on her Instagram stories. I did actually do a sneaky little ASOS order which includes this absolute beauty so if it fits and looks as good as me as it did on Faith, I’ll do a little outfit post. Monochrome is also a fave for me at the moment as it works well with rolled up jeans, trainers and a red lip, so I’m hoping this blouse will be a winner. I adore the shade of green of the jacket I’ve included which is from the Boohoo Curve range enough to get over my usual hatred of Boohoo as a brand. This looks like it would be a really flattering length and a good smart/casual coat for evenings out but not going out out. We’re back to mustard, this time featuring tassels, with my fourth pick. This jumper is from New Look and I love that the detailing is a subtle nod to the tassel trend without being OOT. I think this one could be another winner for day to day as I work in a casual office so I tend to spend a lot of time in knitwear and skinny jeans. I couldn’t do a round up without including a pair of trainers and these ones are Adidas Stan Smiths with burgundy details. I already have a pair which I live in and I’m desperate to get my hands on some more in 2018 as they’re both comfy and being leather, incredibly hardwearing. Last but not least, another stripy top from Joanie Clothing, with a slogan and in the exact same style as the dinosaur one. I love a horizontal stripe and I think the rocket slogan is really cool. Every blogger and their cat seems to have a Joanie striped top and I’m desperate to jump on that bandwagon. 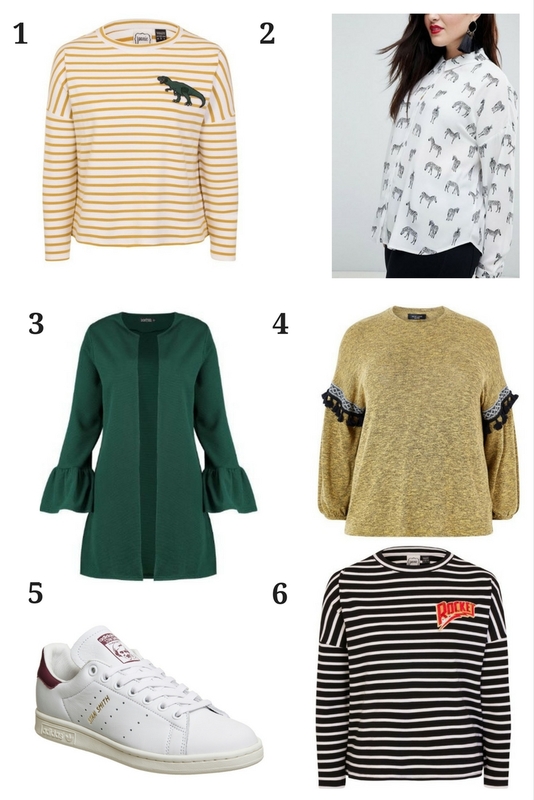 So that’s my round up of my faves from the season so far – what’s on your wishlist? Let me know in the comments! I LOVE that zebra blouse! And the dinosaur top too... some great choices here!